I returned to Portland, Maine for Thanksgiving to visit friends. Dave and I took advantage of an overcast day to go to Bug Light Park located across the Fore River from Portland, adjacent to Casco Bay. There we photographed Bug Light, among other scenes. Although it is no longer active, people love Bug Light and they walk out to take their photos there. Somehow, GPS marine navigation, good as it is, is just not as romantic as lighthouses. 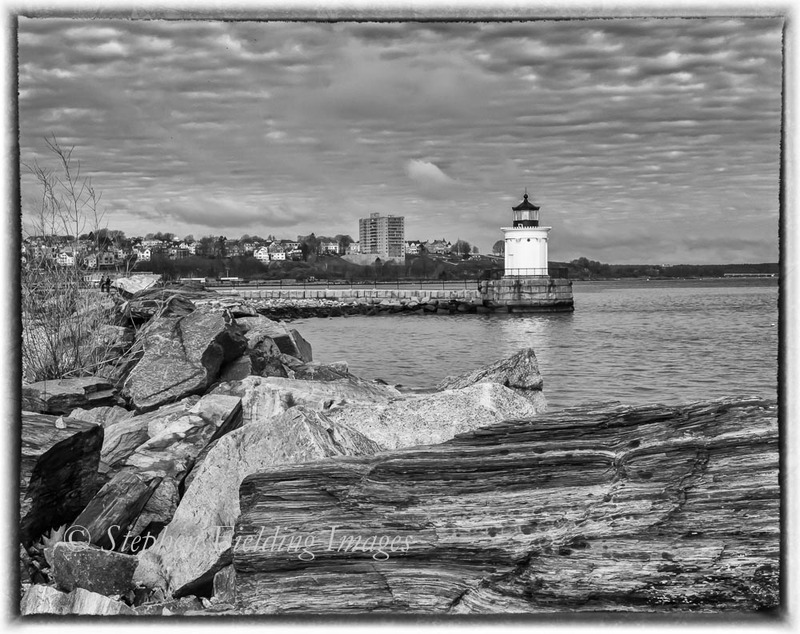 Just a short drive away is Spring Point Ledge Light, located next to Southern Maine Community College. Still active, it’s out at the end of a long breakwater—again, a very popular photo destination. January 10, 1791. 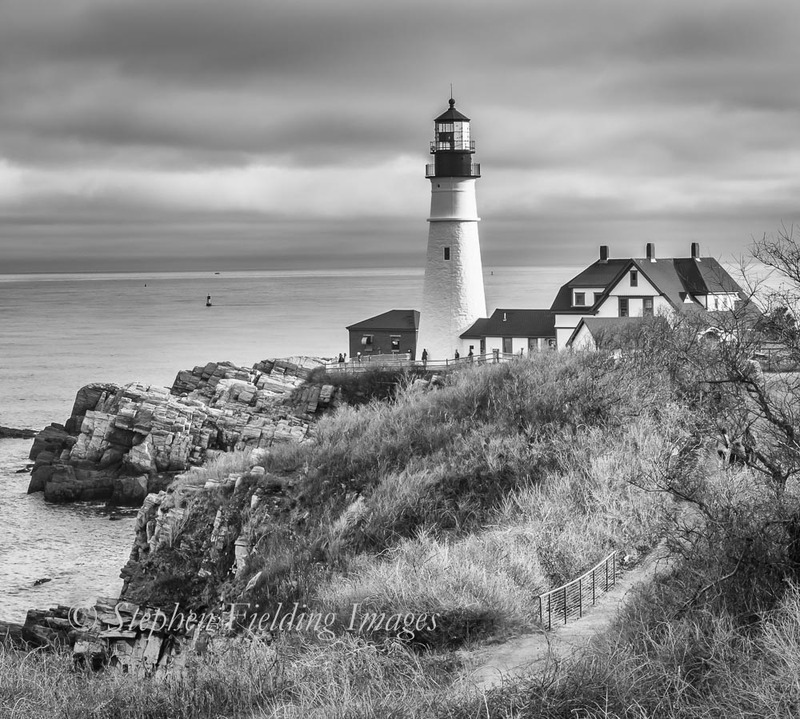 Portland Head is the most visited, photographed, painted, lighthouse in New England. What can I say, one just feels good at the sea and lighthouses. 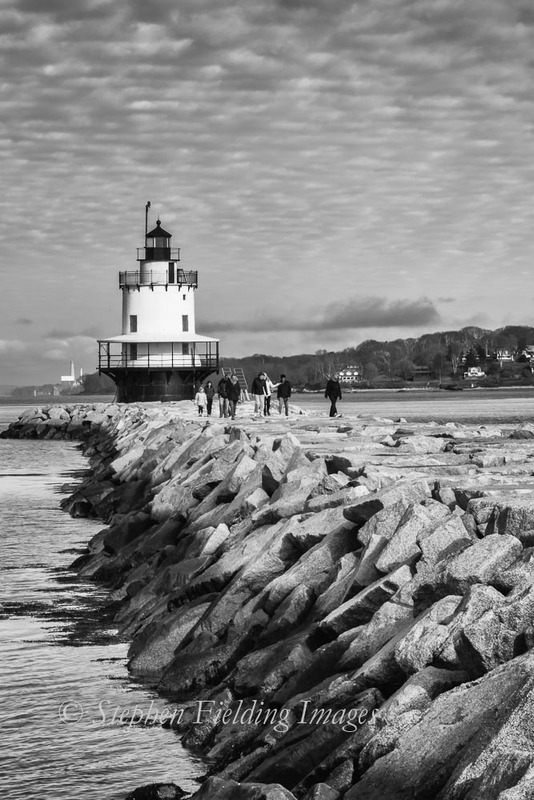 Great photos, nice narrative … and I agree: one DOES feel better by lighthouses and the sea!